Buy a Share in Fordhall Farm for Christmas! ….They make great gifts! A life-time share really is the most perfect, thoughtful gift for any age. 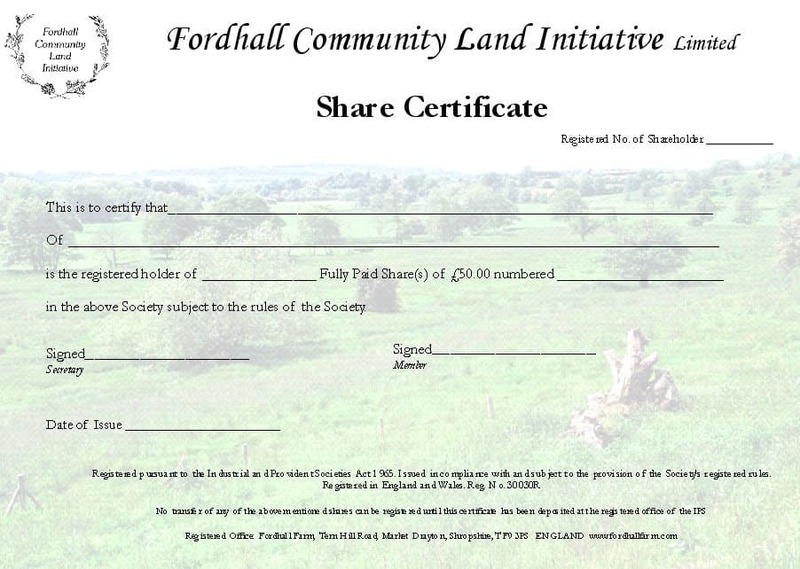 It’s a chance to become part of The ground-breaking Fordhall Community Land Initiative and own part of a farm!Receive a beautiful hand-written certificate, regular newsletter and be part of a group that makes a difference to the environment and the community with your very own none profit making share! Also this year we have Fordhall Farm Christmas cards and 2009 calenders for sale in our Farm shop. If you would like any of these posted to you, please contact Hannah or Becca in the office on 01630 638696.